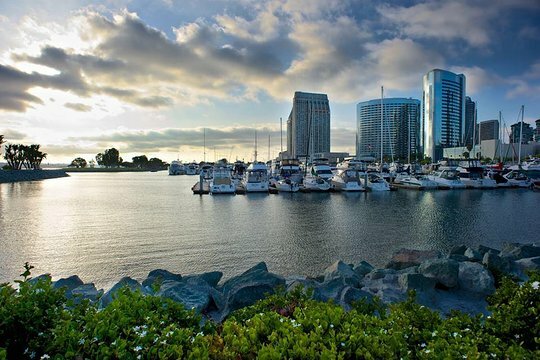 In just four hours, experience the scenic highlights of San Diego and its neighboring areas. Watch sea lions and pelicans on the beaches of La Jolla and capture fantastic views from the top of Mt Soledad. 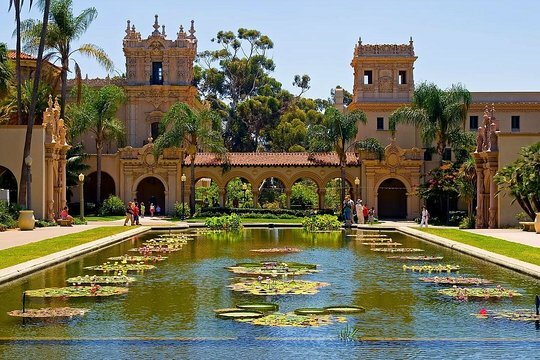 Soak up the Old World elegance of the mansions and Hotel Del on Coronado Island, and find peace in the urban oasis of Balboa Park. Wind through downtown and Old Town San Diego, learning about the city’s history along the way. Enjoy personalized attention on this small-group tour limited to just 14 people. Welcome to the most interresting sightseeing tour of San Diego ! We will start our adventure in La Jolla with its beautiful coastal views. 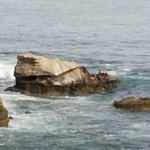 The surroundings in La Jolla are really spectacular, with your feet on one of the most picturesque beaches in California you can see the Mediterranean backdrops right beside it, what gives the place an awesome feeling and gives you the opportunity to take some perfect pictures of the omnipresent marine life. You are guaranteed to approach Sea Lions, Pelicans and Seals at the “children pool”. 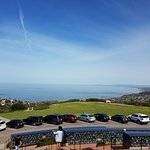 After a ride on the top of the Mount Soledad where you will enjoy a 360 panoramic view of the county, we will visit Coronado Island, the little summer paradise located just a bridge away from Downtown San Diego. Beside its 25 miles of beautiful beaches and dunes Coronado is famous for its elegant gardens and old-world Mac Mansions and the historic Hotel Del Coronado. 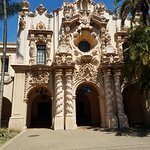 After enjoying the nicest beaches in the San Diego area we will head to downtown San Diego to visit the famous Balboa Park with its 1,200 acres of urban park setting that houses over 85 cultural and recreational organizations including 15 museums. We will then stop by Little Italy which is a lovely neighborhood filled with restaurants, bars and pubs, perfect place for a night outting. Not to mention the famous Gaslamp Quarter. We will end our tour of downtown with a quick stop at Petco Park, Home of San Diego Padres. Completing our Downtown visit, we will ride through the Embarcadero, where we will view the pier and multiple magnificient ships, including the famous Midway Aircraft Carrier. We will end our tour at Old Town San Diego the “birthplace” of California. It was here in 1769 that Father Junipero Serra came to establish the first of 21 missions that were to be the cornerstones of California. Today Old Town San Diego still preserves the rich heritage from the period of 1821-1871. It also is home to award-winning restaurants, more than 150 shops, 17 museums and much more. Thank you so much for your review! Glad you had a good time and enjoyed the tour! Hello Nichole, Thank you so much for your very nice review. So glad you had a great time, it was a pleasure having you on my tour! 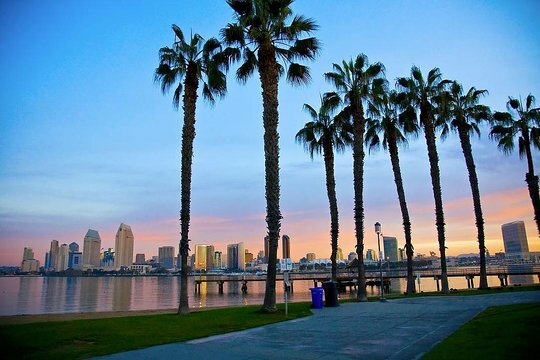 Please feel free to contact us if you ever come back to San Diego! Thank you so much! Thank you so much for your very kind review! It was a pleasure having you on my Tour and I'm glad you had a great time! Please fell free to contact me if you ever come back to San Diego! 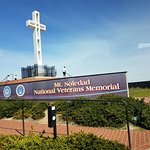 It's was the perfect San Diego tour. We saw a lot just in few hours. My favorite part was La Jolla beach with the sea lions. My boyfriend and I got a private tour with Roxane. She is very knowledgable and she speak french also!! Thank you so much Laura for your nice review! It was fun having you! :) so glad you had a great time! Roxane was amazing! 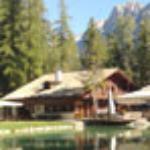 She has tons of knowledge about the area and gives you recommendations on all the attractions. My family and I enjoyed every minute of the tour. We are 100% satisfied! Get quick answers from San Diego Scenic Tour staff and past visitors. Is not available on Tuesday? Hello! Is pick up available from Sheraton hotel & Marina? Hello. I'm not too sure; we were staying at the Dana Mission Bay Resort. We took taxis and Uber while in San Diego. I'll be staying at the Hilton Bayside Hotel, is pick up available? I've contacted this company via its website and haven't received any response. This will be the third company in the USA that I've emailed with queries. Never received any response from any of them. Not good!